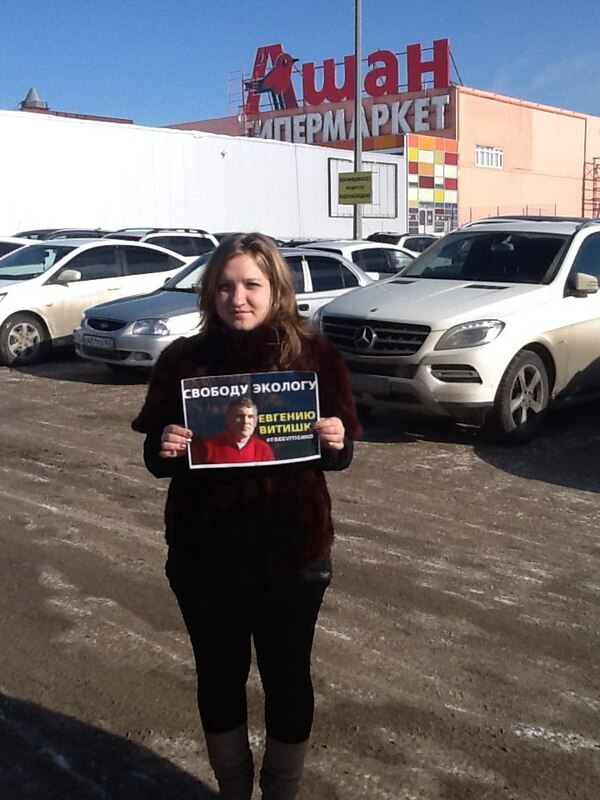 On 15 April 2015, the Kirsanovsky District Court in Tambov Region rejected Evgeny Vitishko’s request for parole. The official grounds for this denial was based on a number of reprimands that Vitishko received while at the colony. However, some of those ‘violations’ did not happen; others are far-fetched. Because of the unjust sentence that Evgeny Vitishko is serving for his environmental and human rights work and in response to the ongoing governmental pressure on Vitishko, 150 environmental and human rights NGOs from all over the world are appealing to the Russian Prosecutor General and Federal Service on Execution of Punishment to take measures to immediately release Evgeny Vitishko and to stop all harassment of him by colony officials. Supporting organizations include Bellona Russia, Friends of the Earth, Human Rights Watch, World Wildlife Fund Russia, the Moscow Helsinki Group, and the Russian Union of Journalists. 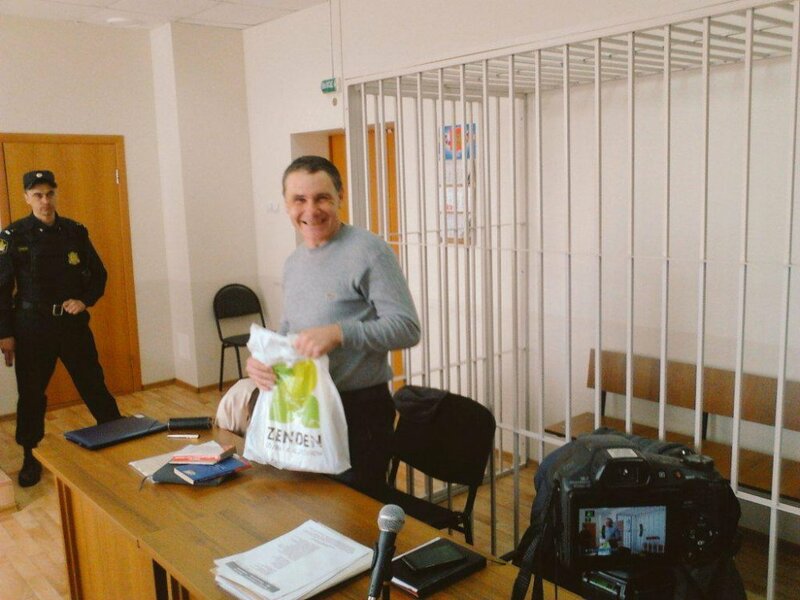 As Russian Supreme Court rejected Vitishko’s appeal regarding his custodial sentence, parole remains the only hope for his release and is being pushed forward by Vitishko’s defense team. Kirsanovsky district court (Tambov Oblast) held a hearing on whether to grant Evgeny Vitishko parole. 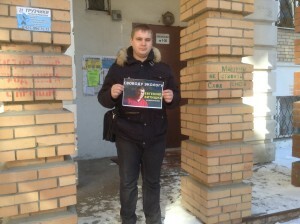 In a settlement penal colony Evgeny has served a third of his sentence. Chief Judge was Yury Losev. Three colony officials participated in a trial as witnesses. 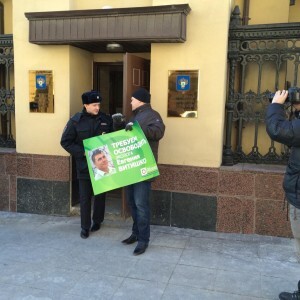 EWNC, Greenpeace Russia and political party “Yabloko” were at the trial as well. Administration of the penal colony has not changed its mind since last hearing held on March 31. They stated that Vitishko does not deserve parole as he is a violator, who has 8 reprimands and has a negative characteristic. The court re-announced those reprimands. 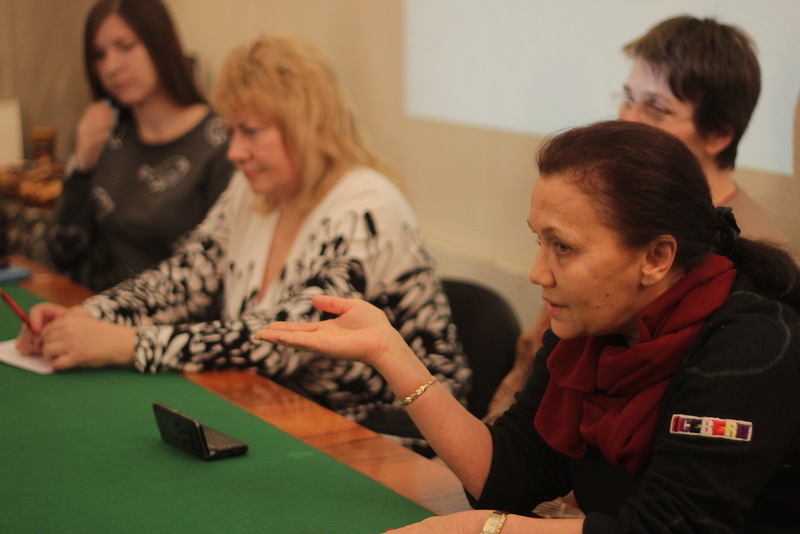 Evgeny spoke about violations in the penal colony, unlawful use of some restraint equipment against prisoners. The court heard different characteristics given to Evgeny by various organizations and by the penal colony. The prosecutor insisted that Vitishko will not admit his guilt and trend in his behavior will remain the same; and that he will do the same if freed; thus, Vitishko does not deserve a parole. Vitishko’s defense pointed out that the public recognizes Vitishko a prisoner of conscience; that Vitishko donates to orphanage. Defense also reminded that admitting the guilt does not serve a ground for parole. Notwithstanding, the court denied parole for Vitishko. Defense team will appeal this decision. As the Supreme Court of Russia rejected Vitishko’s appeal on decision to cancel his suspended sentence and transfer to a penal colony, parole is the only chance for Vitishko’s freedom. 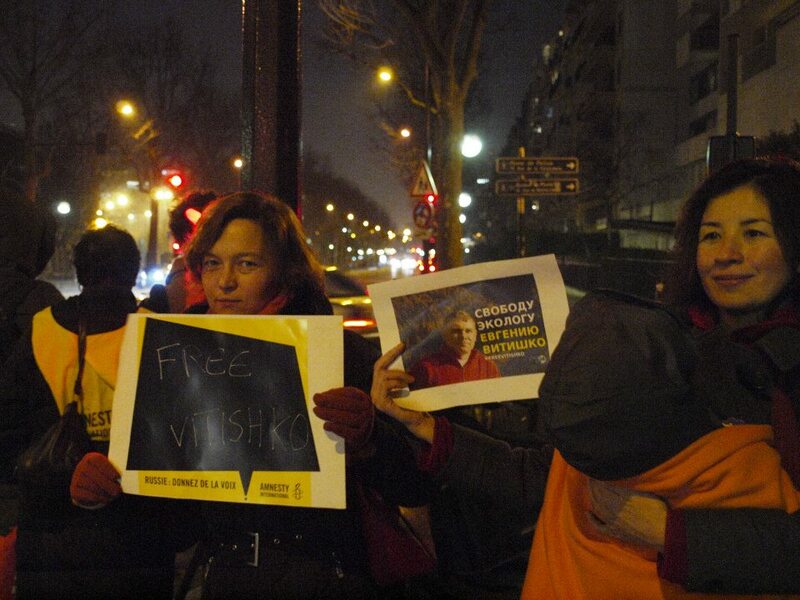 If court of second instance denies parole as well, Vitishko will be eligible to appeal again only in six months. 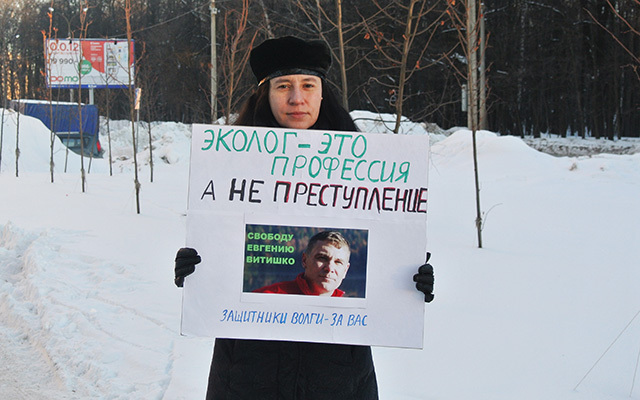 Injustice for Evgeny Vitishko, a person convicted on a trumped up charges for his work in environmental protection and human rights, continues the same. 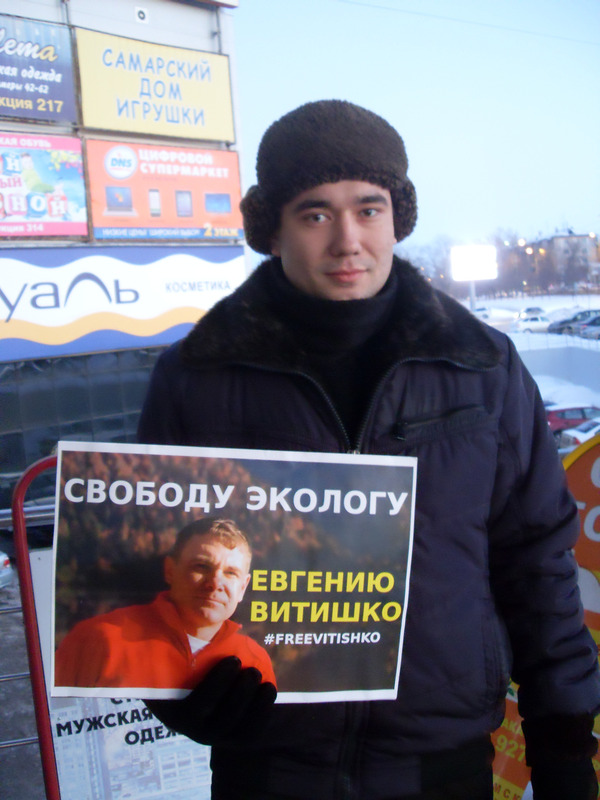 Evge ny Vitishko has been on hunger strike since April 6, 2015 protesting the decision of the Supreme Court of Russia to dismiss his appeal. In that appeal, Vitishko was challenging the unjust decision to cancel a suspended sentence and transfer Vitishko to a penal settlement colony, as well as the original sentence issued in 2012. 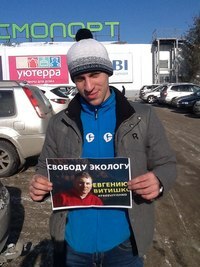 Evgeny’s last hope for freedom and parole will be on April 15: Supreme Court dismisses Vitishko’s appeal. Details on court hearings held on March 31. 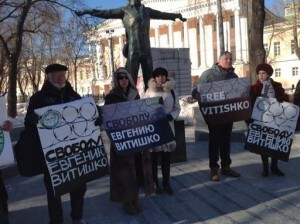 The Supreme Court dismissed the case and refused to hear Vitishko’s appeal on the decision cancel a suspended sentence and transferring Vitishko to a penal settlement colony. At present, the last hope for Vitishko’s freedom is up to Tambov Judge Yury Losev. Preceding the Supreme Court’s dismissal, the Office of the Prosecutor General filed an appeal to overrule the decision to imprison Vitishko. However, for unknown reasons, Prosecutor’s appeal was withdrawn. On March 31, 2014, the Kirsanovsky district court (Tambov Oblast) held a hearing on granting parole to Evgeny Vitishko, a member of Environmental Watch on the North Caucasus. 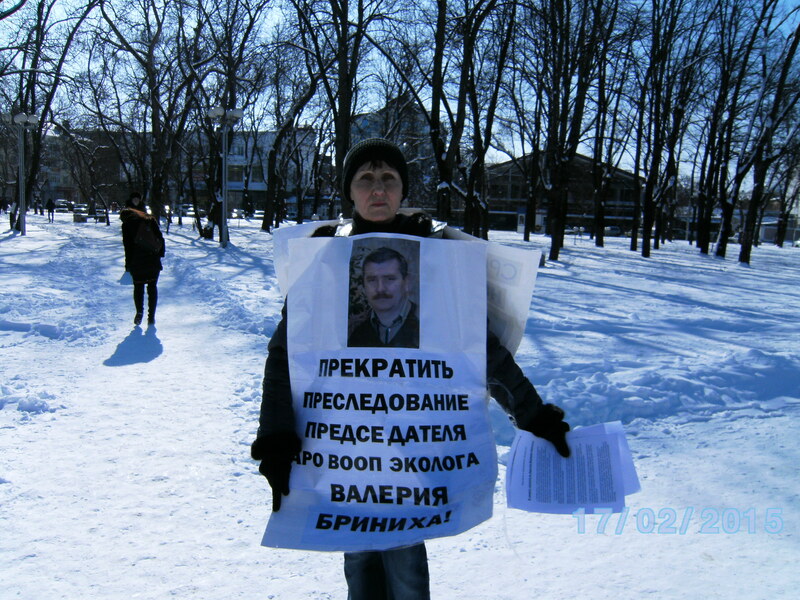 In 2012, Evgeny and his fellow activist Suren Gazaryan were sentenced to three years of a suspended sentence with a two year probation period. 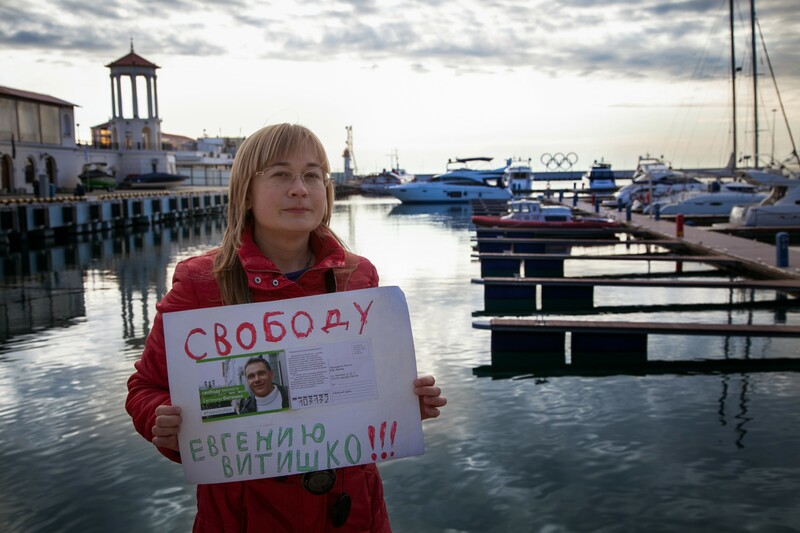 Evgeny was sentenced on a trumped up charges for ‘damaging a fence’ on the territory allegedly belonging to the governor of Krasnodar Krai Alexandr Tkachev. 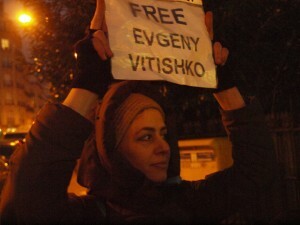 The trial was accusatory, with many procedural and substantive violations, which were pointed out numerous times by Human Rights Watch, Evgeny’s defense team, and the Supreme Court while admitting Gazaryan’s appeal. Amnesty International considers Evgeny to be a prisoner of conscience. 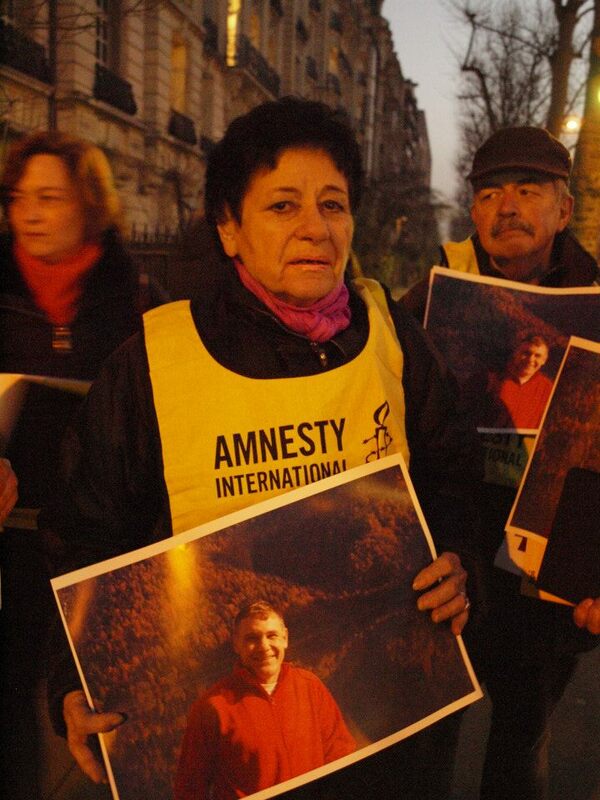 After Evgeny was sentenced, he continued his environmental and human rights work. 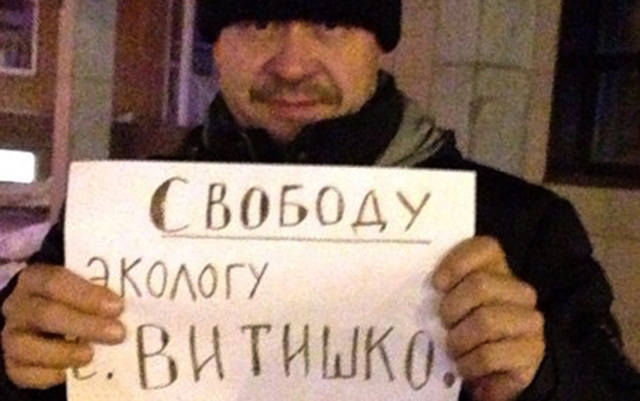 As a result, someone decided that Evgeny needed to be silenced in prison. 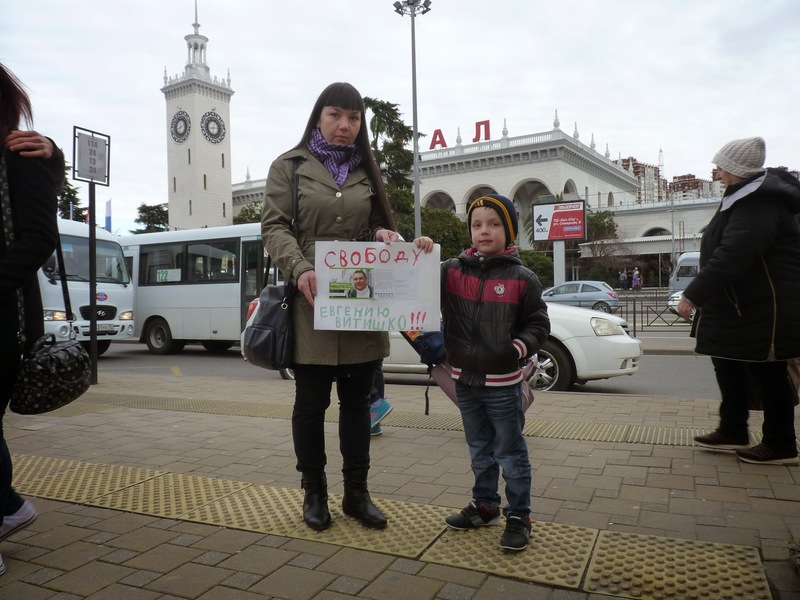 On December 2013, Evgeny’s suspended sentence was canceled and he was convoyed to the Tambov penal settlement colony to serve three years for ‘damaging’ a fence, which does not exist (according to the prosecutor’s office of Krasnodar Krai). 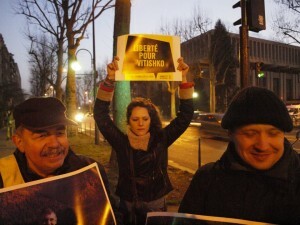 On March 31, the court denied an appeal to invite the deputy of the colony as a witness. However, the court finally added reference letters sent by human rights and environmental organizations; as well as the psychological expertise and a call for an expert to participate in proceedings. A few weeks earlier, the court had denied the appeals from those organizations, which then sent appeals to the court to grant Vitishko parole. The court also denied the prosecutor’s appeal to invite the head of educational work. 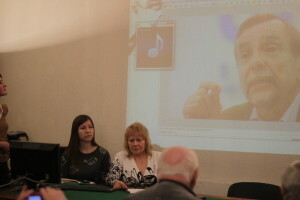 Vitishko’s defense announced the appeal on granting Vitishko parole arguing that, if freed, Vitishko will have a job, he has dependent children, and stating that Vitishko does not pose any danger to society and has never been such a danger, citing the results of psychological expertise. Further, the court satisfied the appeal to invite the person responsible for weeding out tomatoes in the colony. 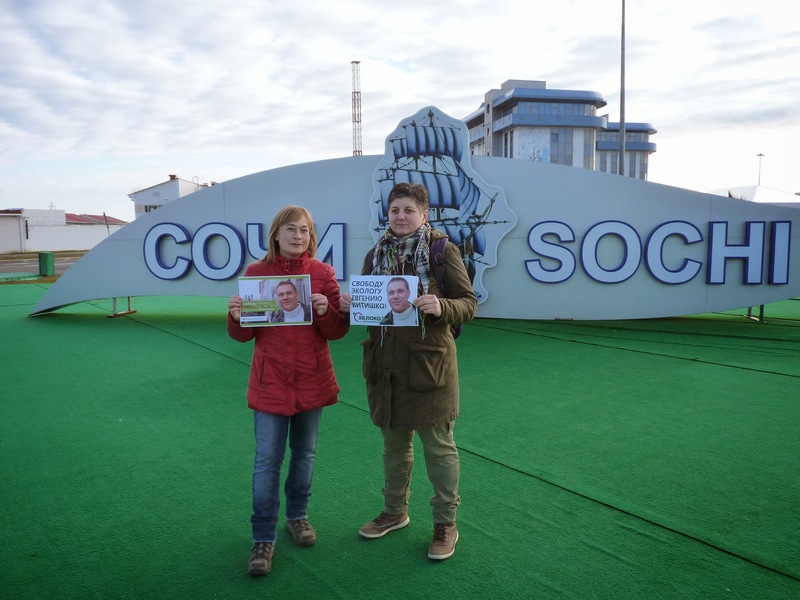 Environmental Watch on North Caucasus is deeply concerned with the fact that the colony considers a person meeting the requirements for parole only if a convicted person cringes before colony officials. EWNC invites the press to the hearings. Hearings will continue on April 15 at 10 am. On March 31, 2015, the T ambov court will decide whether to grant a parole to Evgeny Vitishko. 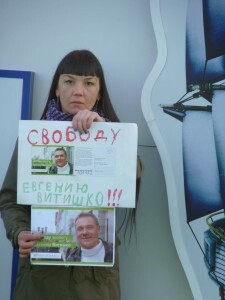 Freeing Vitishko would stop lawlessness against environmental defender. 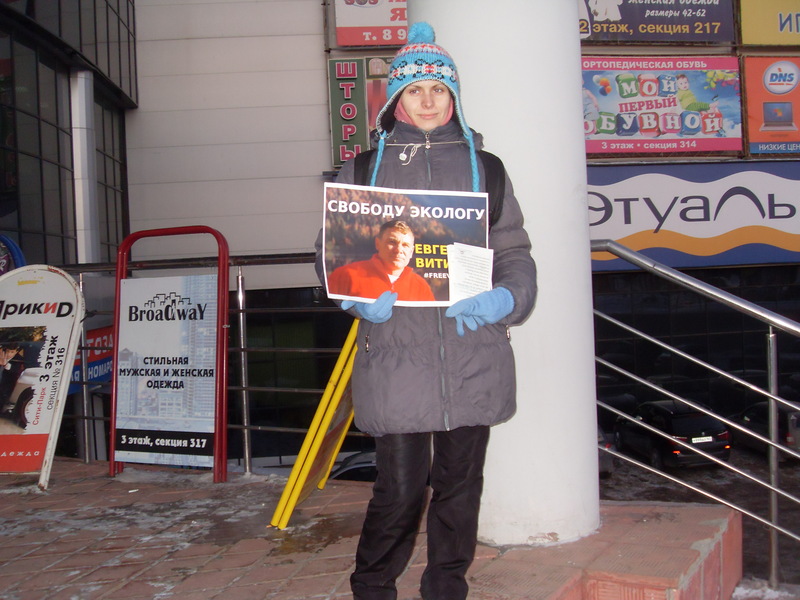 Evgeny and his attorney filed an appeal on February 18. 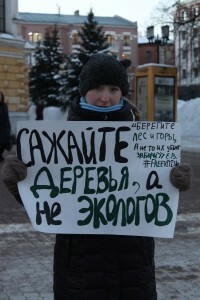 Environmental and human rights organization “Bellona”, Environmental Watch on North Caucasus and WWF-Russia as well as Russian political party “Yabloko” filed appeals to grant Vitishko a parole However, the court denied appeals (from Bellona, WWF-Russia, “Yabloko”) based on a formal grounds. 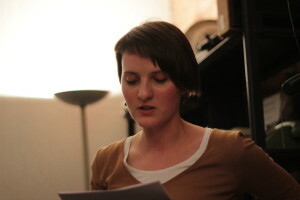 The court could, however, have added appeals to the record of the case. Organizations will send letters characterizing Evgeny. 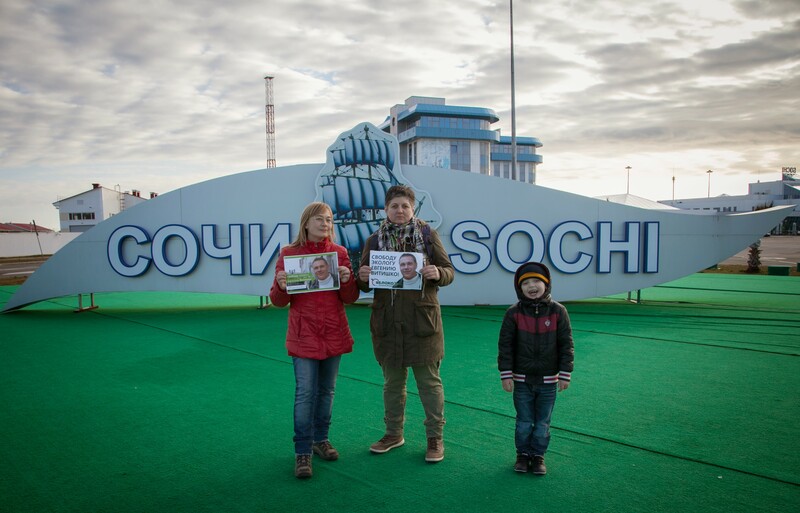 We kindly remind that more than 40 environmental and human rights organizations and advocates appealed to Russian Prosecutor-General last February to take all necessary measures to free Evgeny immediately and unconditionally. It was done within the Global Day of Solidarity with prisoner of conscience Evgeny Vitishko. within the capacity of special procedures of the UN Human Rights Council: Chair-Rapporteur of the Working Group on Enforced or Involuntary Disappearances; Independent Expert on the issue of human rights obligations related to the enjoyment of a safe, clean, healthy and sustainable environment; Special Rapporteur on the rights to freedom of peaceful assembly and of association; Special Rapporteur on the situation of human rights defenders; and Special Rapporteur on the independence of judges and lawyers. UN Human Rights Council Special Procedures,within its mandate, investigate human rights violations violations. In case of revealing alleged human rights violations, they appeal to governments and bring to their attention investigated human rights violations. The purpose of these communications between Special Procedures and governments is to stop violations and prevent their reoccurance. 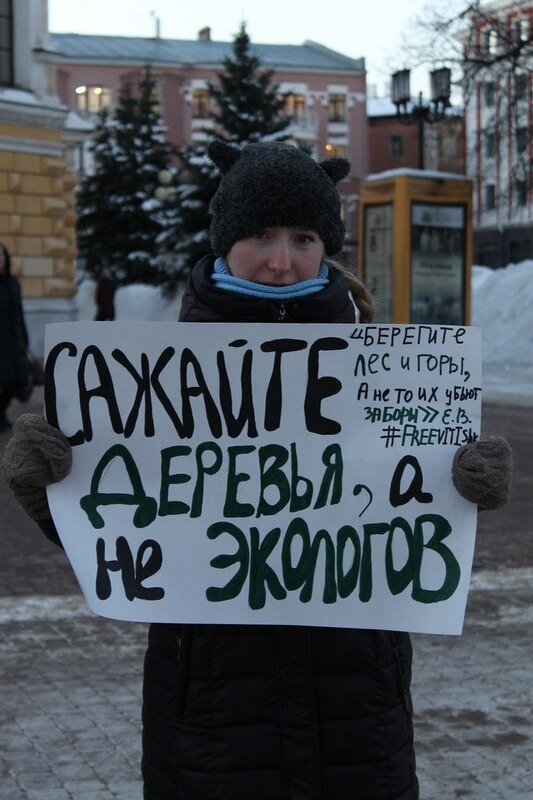 On March 7, 2015, mentioned above UN special procedures brought to Russia’s attention alleged enforced disappearance of a human rights and environmental defender Evgeny Vitishko. 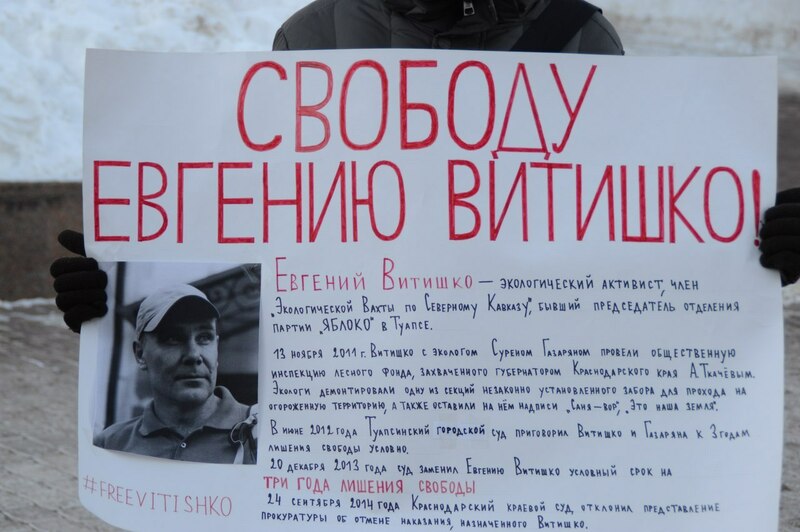 Official communication describes the situation of the ‘Tkachev’s fence’ case as well as details of Vitishko’s persecution. We kindly remind you that Evgeny Vitishko ended up being harassed based on ridiculous grounds of committing a theft and swearing while at a bus stop right before Sochi Olympics. 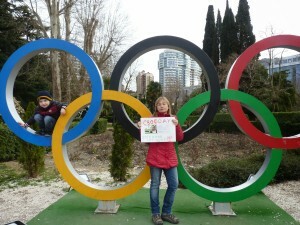 Evgeny was convoyed to a settlement penal colony at the height of the Games. 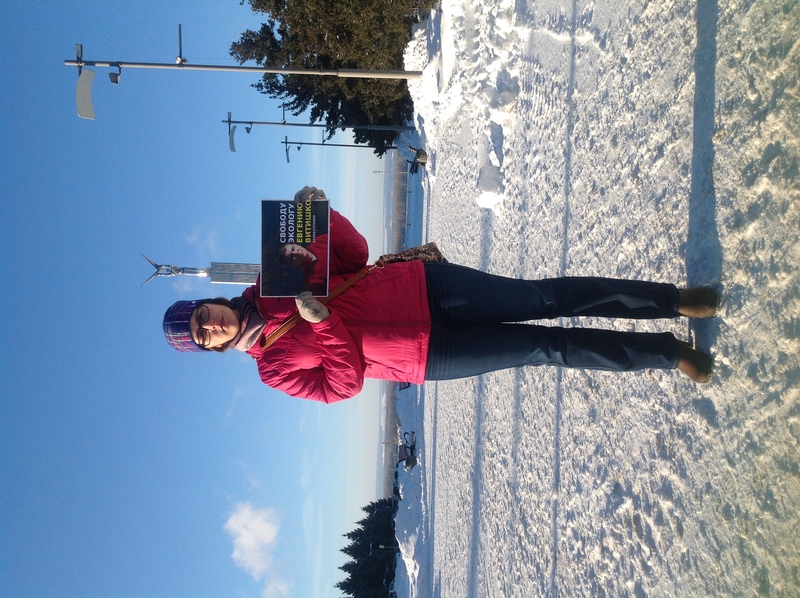 It is worth mentioning that UN does not claim to supercede over investigations and judicial decisions that have taken place in Russia. 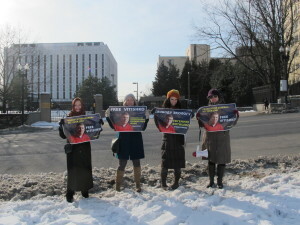 Nonetheless, UN unequivocally brings into Russia’s attention human rights violations, which Russian government has an obligation to stop and prevent, according to its international obligations: obligations to prevent enforced disappearance, ensure a right of a peaceful assembly and a right to have access to a lawyer of someone’s choice. 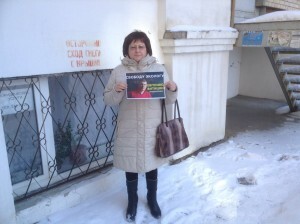 In particular, special procedures mentioned alleged enforced disappearance of Evgeny Vitishko and denial to have have access to a lawyer of Evgeny’s choice (during the hearings on hooliganism on February 3, 2014). During the period since November of 2013 to February 2014, Russian authorities imprisoned Evgeny in a hurry based on absurd accusations in theft and swearing while in a public place, thus, misusing the law. At the same time, location of Evgeny was not available neither to his attorney nor to his family during the period of his convoying to the colony (February 18 to March 12 of 2014). In its response to the UN High Commissioner for Human Rights, Russia did not respond to any of these questions stated above with the exception to the first one. UN urged Russia to guarantee that the rights and freedoms of Mr. Evgeny Vitishko are respected and, in the event of investigations, to hold any person responsible of the alleged violations accountable; and to adopt effective measures to prevent the recurrence of these acts. 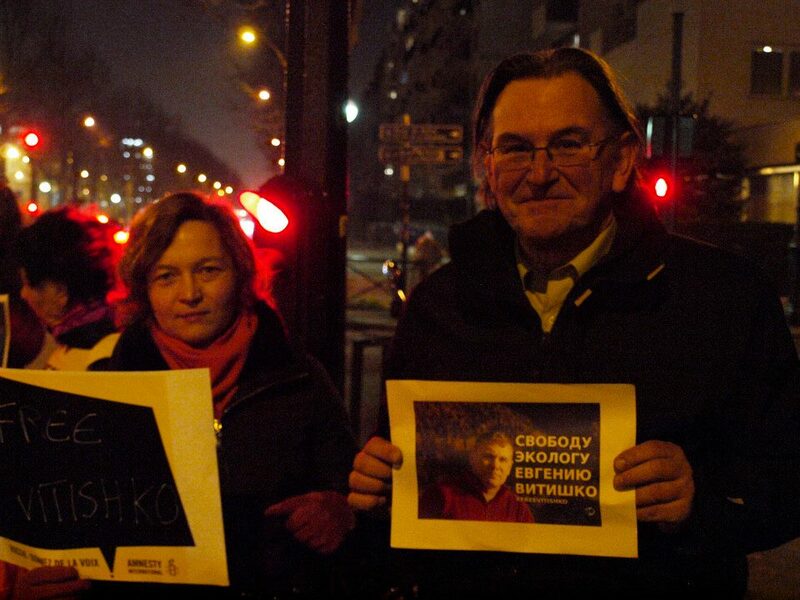 The Office of UN High Commissioner for Human Rights continues monitoring the case of Evgeny Vitishko and will report on its status and communications with the Russian government three times a year to the UN Human Rights Council. 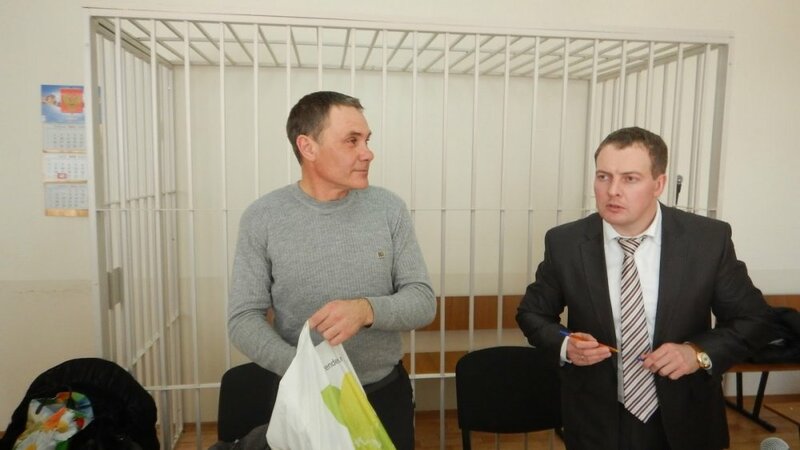 Evgeny Vitishko, a Council Member of Environmental Watch on North Caucasus, was sentenced to three years of imprisonment in a Russian penal settlement colony for participation in a public inspection near the luxury resort of the Governor of Krasnodar Krai Alexander Tkachev. That public investigation revealed numerous violations of water and forest laws near settlement Bzhid (Tuapse district, Krasnodar Krai). 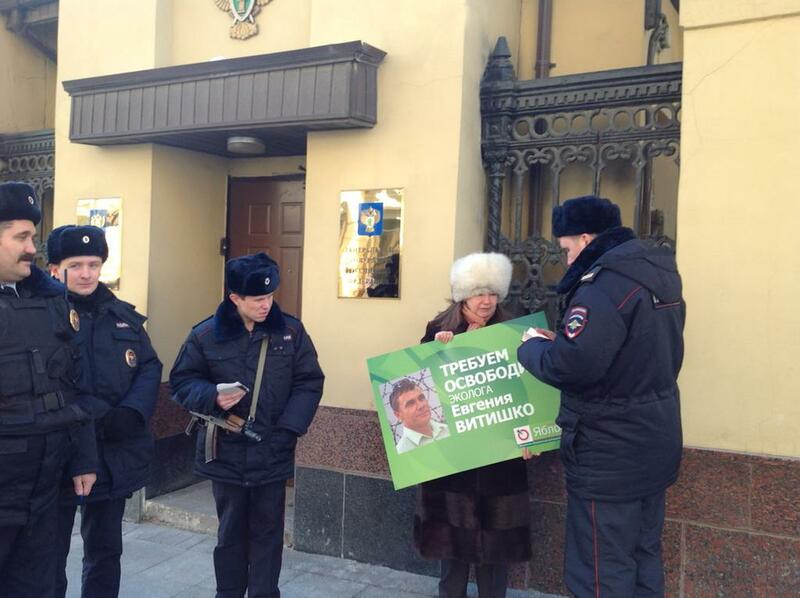 Instead of punishing violators, Russian authorities decided to suppress those who revealed those violations. As Evgeny Vitishko continued defending the environment and, as a part of his work, he participated in writing the Report on environmental impact of the Sochi 2014 Winter Olympics, his suspended sentence was revoked right before the Sochi Olympics. And on February 18, 2014, at the height of Sochi Olympics, Evgeny Vitishko was imprisoned in a penal colony. February 18, 2015 is a year anniversary of Evgeny’s imprisonment for defending the right to a favorable environment guaranteed by Russian Constitution (Article 42). 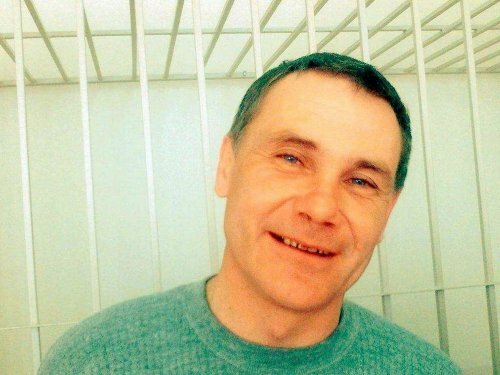 On February 18, 2015, Evgeny Vitishko and his attorney filed an appeal to grant a parole. 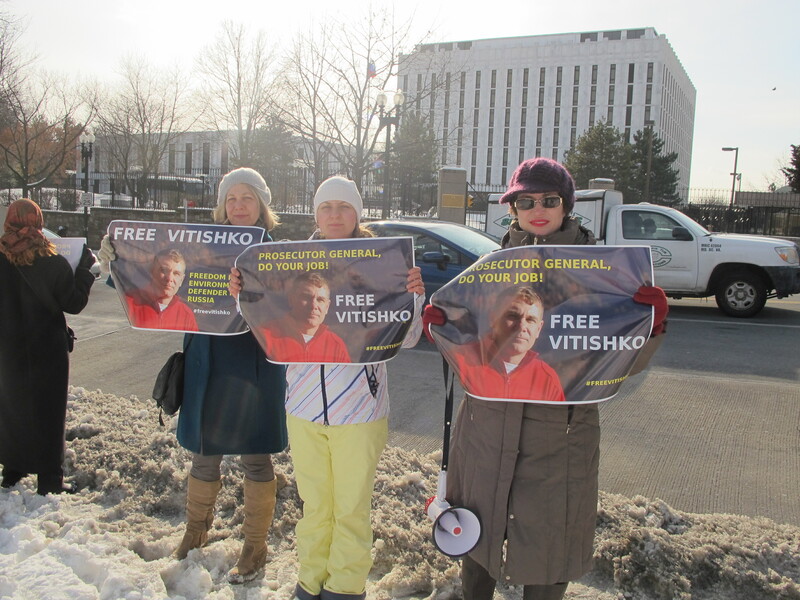 On a Global Day of Action, activists from all over the world took action and supported Vitishko in different ways. One of the most pleasant for Evgeny was a visit from his fellow activists from Environmental Watch on North Caucasus. 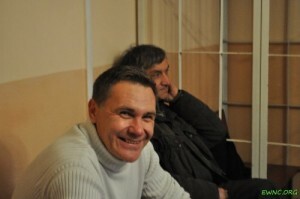 Dmitry Shevchenko, Viktor Chirikov and Alexander Savel’ev visited Evgeny in a penal colony. Courageous activists held picket near the Office of Prosecutor General in Moscow. 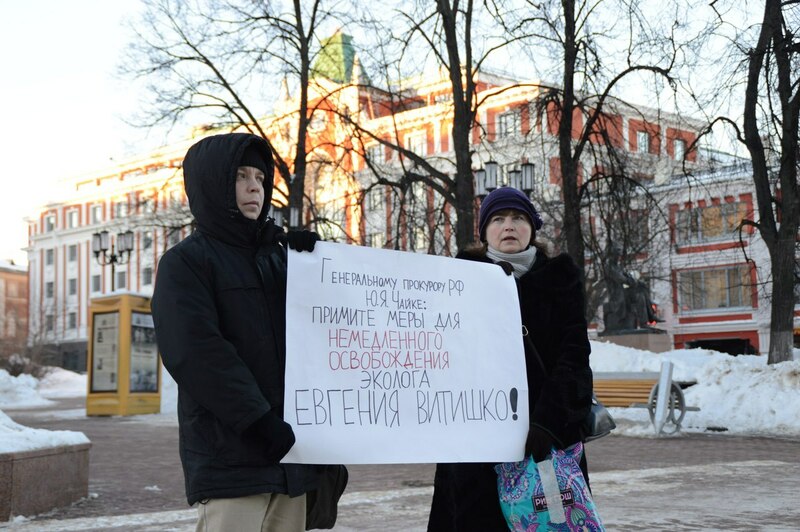 Participants Alexey Yablokov (member of Russian Academy of Science, PhD in biology, public figure), Sergey Mitrokhin (Chairman of political party ‘Yabloko’), Sofia Rusova (political party “Yabloko,” Russian ‘Green League’, member of EWNC) took turns and held individual pickets. 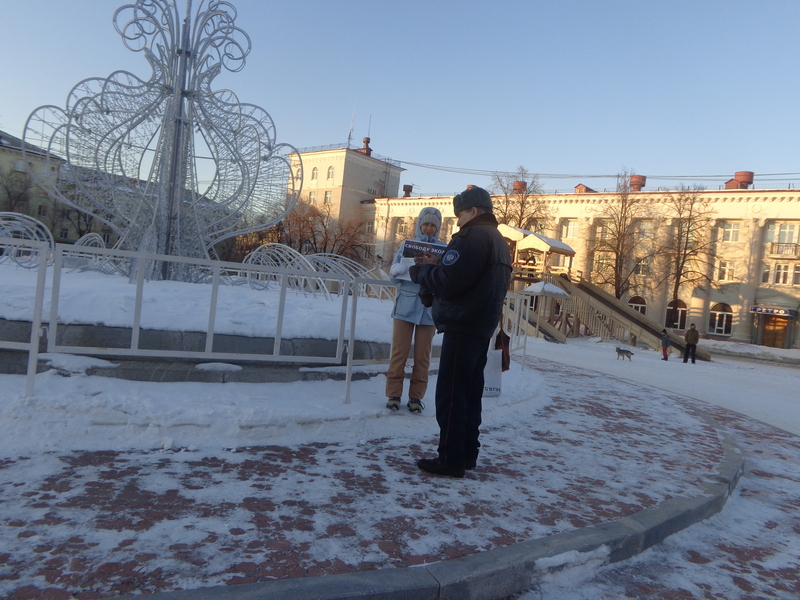 Police officers were actively interested in demonstrations. 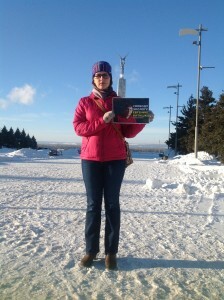 Video from demonstration is available. 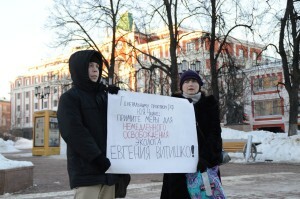 In downtown Moscow, activists held a demonstration near the monument to Vladimir Vysotsky. Moscow residents also recorded video statements calling upon Russian government to free Evgeny, wishing Evgeny freedom and saying words of solidarity with environmental defender. A series of demonstrations were held in other Russian cities: St. Petersburg, Sochi, Krasnodar, Maikop, Nizhny Novgorod, Samara, Tolyatti, Novokuybyshevsk, Kazan. 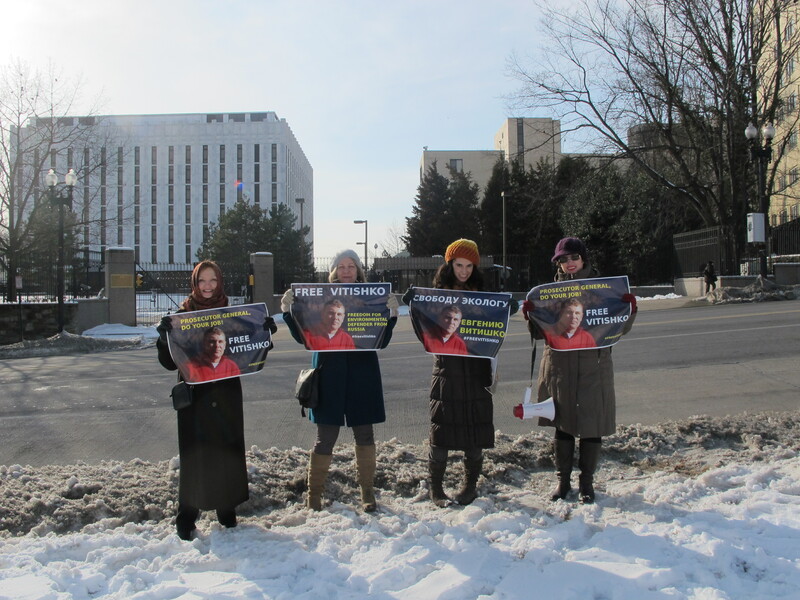 Demonstrations were also held near Russian Embassy in Vilnius (EWNC), Berlin (Amnesty International), Paris (Amnesty International) and Washington, D.C. (Crude Accountability). 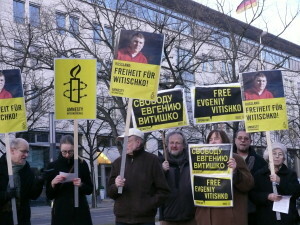 Amnesty International, who recognized Evgeny Vitishko as a prisoner of conscience, held demonstrations near Russian Embassy in Berlin and Paris. Its divisions in Moldova, Ukraine, Spain, Netherlands, France, Norway and Russia held online support actions as well. 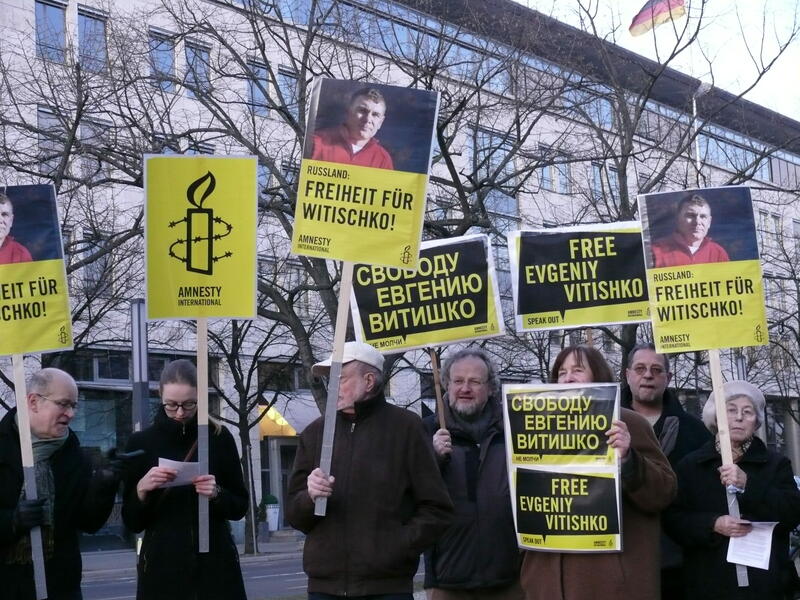 They also launched the petition asking to free Evgeny Vitishko immediately and unconditionally and will deliver it to Russian Prosecutor General soon. 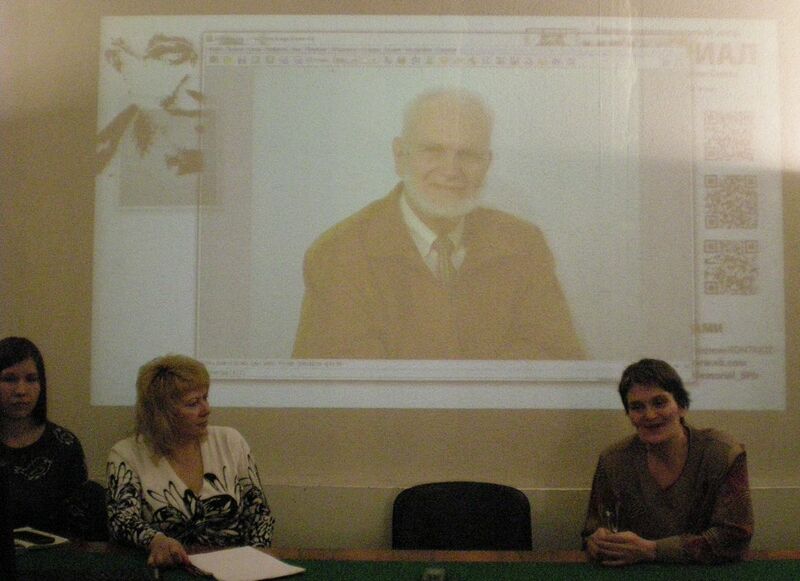 A round-table discussion on Evgeny’s persecution and harassment was jointly held by Research and Information Center ‘Memorial’, International Social and Ecological Council, Center for Human Rights and Environment ‘Bellona’, Human Rights Council St.Petersburg, Youth Human Rights Movement. 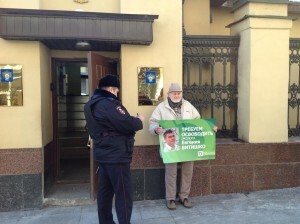 Outstanding respected human rights defenders gave a light on procedural violations in Vitishko’s case and explained the absurdity of a conviction for damaging the fence, which does not exist, according to prosecutor’s office of Krasnodar Krai. Recorded discussion can be found here. 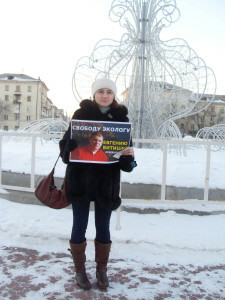 In December of last year, the Office of Prosecutor General filed an appeal to the Supreme Court challenging the decision to imprison Evgeny. 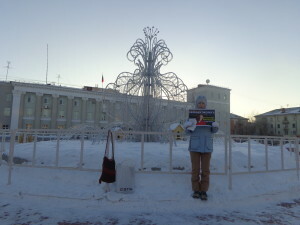 Thus, it gave a hope that Evgeny will be free soon. However, that appeal was withdrawn in January of 2015. 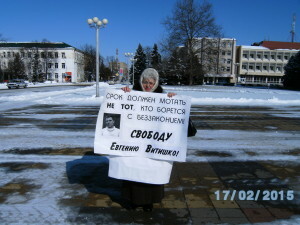 In this regard, under the initiative of Crude Accountability, 45 non-governmental non-for-profit organizations, including respected individual human rights and environmental attorneys and advocates from all over the world sent official appeal to Russian Prosecutor General to take necessary measures to free Evgeny Vitishko, to initiate legal proceedings regarding the wrongful conviction of Evgeny Vitishko; hold those responsible for his conviction legally accountable; and clarify the withdrawal by the Office of Prosecutor General of the request to vacate the decision of the Tuapse city court of Krasnodar Krai from December 12, 2013 to revoke the suspended sentence and transfer Evgeny Vitishko to a penal settlement colony. They also requested to investigate the facts of installment of the illegal fence in violation of water and forest laws in Bzhid township (Tuapse District, Krasnodar Krai). 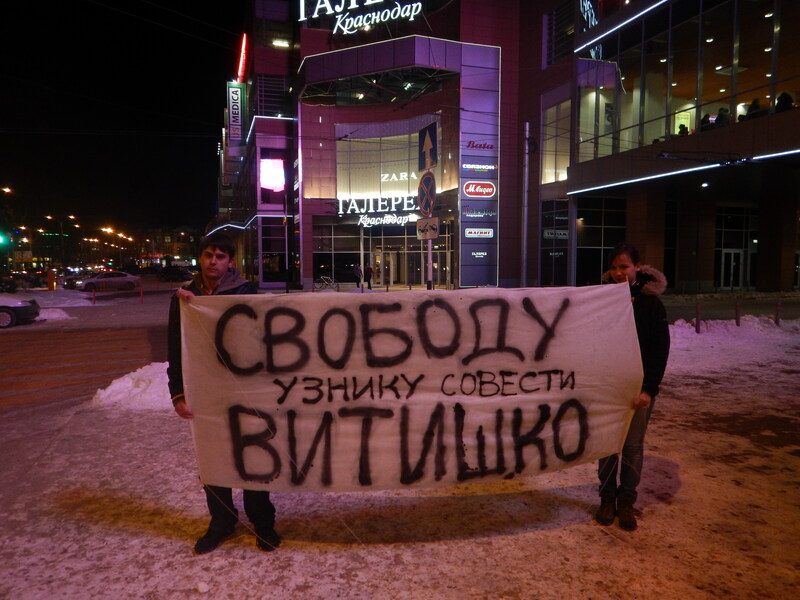 Thus, bringing real violators to justice and free Evgeny Vitishko, who’s conviction is blatantly absurd as he is imprisoned for damaging the fence, which does not exist. 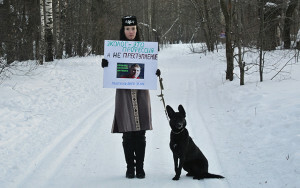 A similar appeal to Russian Prosecutor General was sent by a group of Russian environmental and human rights NGOs. 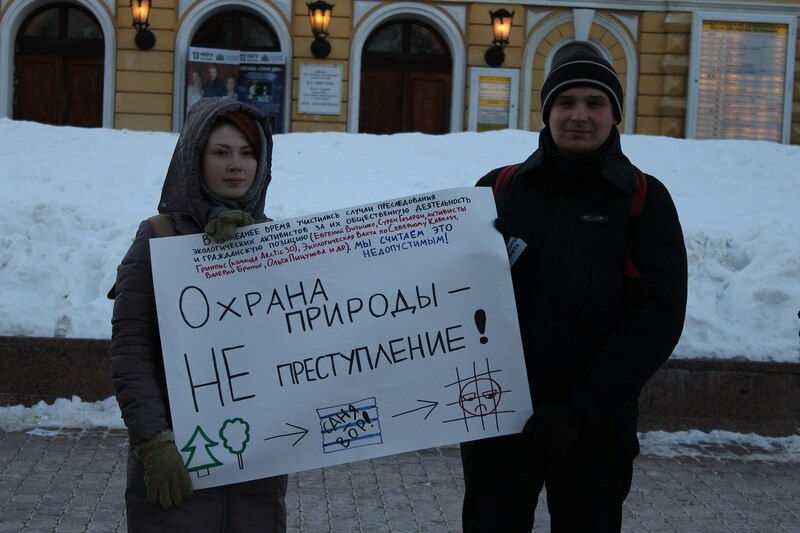 Open statements requesting to stop injustice were made by Russian organizations Russian Social-Ecological Union / Friends of the Earth Russia (in Russian), Center for Environment ‘DRONT’ (in Russian). 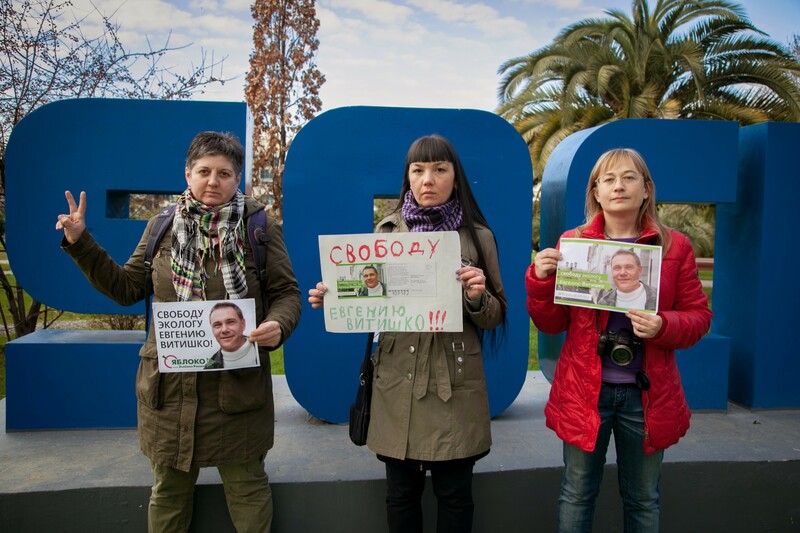 International network of environmental NGOs Friends of the Earth International called upon its members and supporters to join Global Day of Action in support of Evgeny Vitishko. Thus, more than 45 organizations and activists and advocates from all over the globe supported Evgeny Vitishko on a Global Day of Action and asked Prosecutor General of Russia to free environmental defender. 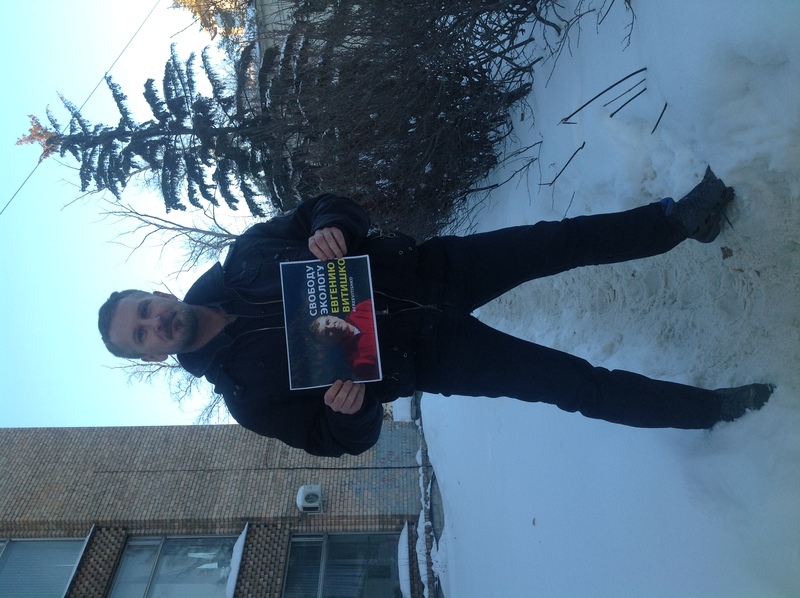 We hope Evgeny will be free soon and continue his work on defending our right to a healthy environment! 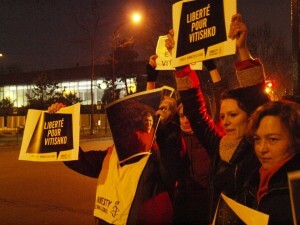 You can contribute and make it real by signing petition to free Vitishko immediately and unconditionally! As a part of Global Day of Action, under the initiative of Crude Accountability, 45 non-governmental non-for-profit organizations, including respected individual human rights and environmental attorneys and advocates, from all over the world sent official appeal to Russian Prosecutor General to take necessary measures to free Evgeny Vitishko, to initiate legal proceedings regarding the wrongful conviction of Evgeny Vitishko; hold those responsible for his conviction legally accountable. They also requested investigate the facts of installment the illegal fence in violation of water and forest laws in Bzhid township (Tuapse District, Krasnodar Krai). 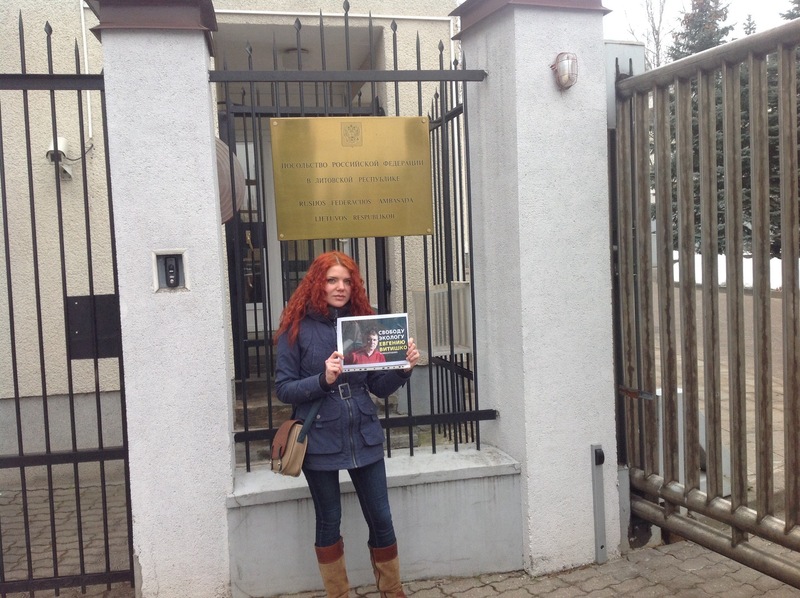 The fact of the matter is that Vitishko was convicted for damaging that fence. However, the prosecutor’s office of Krasnodar Krai deny the existence of that fence. It’s time to stop injustice. A similar appeal was sent by a group of Russian environmental and human rights NGOs. 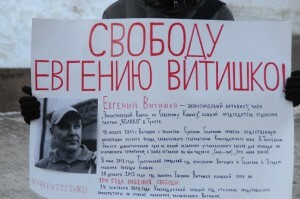 February 18, 2015 is a day of solidarity actions to commemorate the one year imprisonment of eco-activist Evgeny Vitishko. 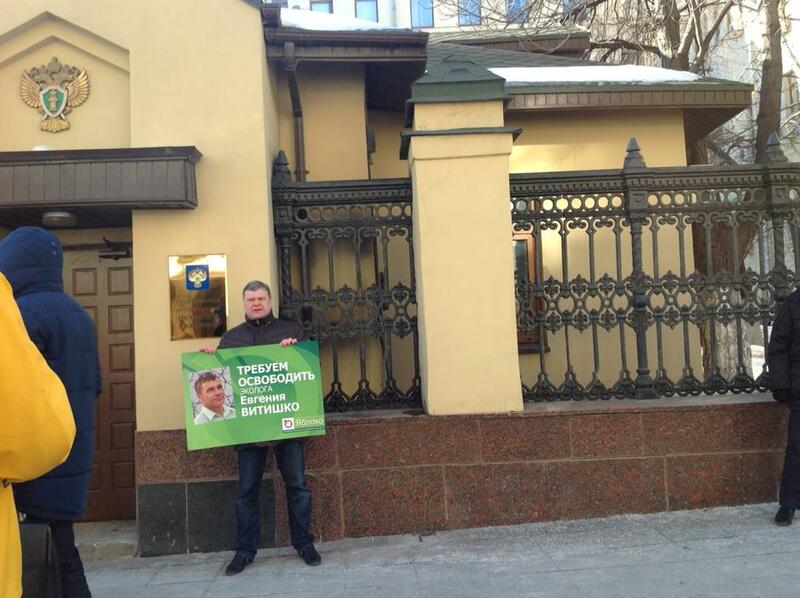 Evgeny Vitishko is serving three years in a penal colony settlement in Tambov region. In 2012, he was conditionally sentenced to three years for “damaging” an illegally installed fence belonging to the governor of Krasnodar province, Alexander Tkachev. This conditional sentence was changed to actual imprisonment in December, 2013 by the Tuapse city court. 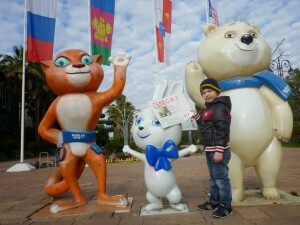 On February 12, 2014 the court decision came into effect and on February 18, 2014 – at the height of the Sochi 2014 Winter Olympics – Vitishko was sent to the penal colony settlement. Soon thereafter Vitishko was recognized as a political prisoner by the famous Russian Human Rights Center “Memorial” and as a prisoner of conscience by Amnesty International.